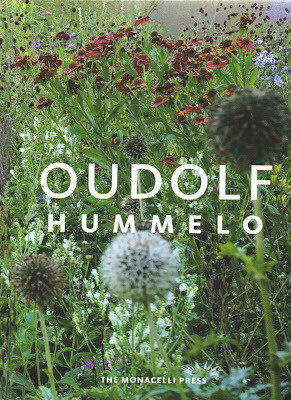 A lot of regular readers of this blog will probably be aware of the 'Oudolf Hummelo' book being 'out'. I've been meaning to write something about it for some time but been very busy. In the introduction I make a joke (which I have repeated ad nauseam and will stop doing so now) made by Piet that “only footballers have biographies written about them in Holland”. It is more than a biography anyway. I intended it to be a story about a group of people, of whom I am one, so in some ways it became a personal memoir, but also a social and cultural commentary. I wanted to place what Piet does in his planting in a bigger context; he would not have done what he did or be successful at another time in history. 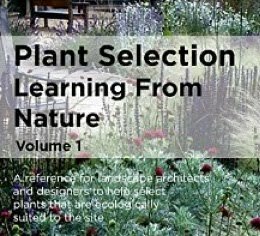 It was a great opportunity to write about a whole circle of people, from different walks of life, but who were all passionate about plants and gardening. Writing the book was also an opportunity to get under the skin of the Dutch a bit more. I find this a fascinating country. I love it. The Dutch are the most civilised people in the world. But I would never live there. Too flat. And when push comes to shove, I think it is a more conformist culture than at first appears. I visit The Netherlands a lot. In particular I'm fascinated by the way the whole landscape has been sculpted, created, physically made by the ancestors of the people who live there. The more I visited the more I realised that this place used to be lake, that one a vast wetland, and this place is several metres below sea level. I ended up reading a couple of books about the creation of the country's landscape, and realised it was a lot more to it than how it is often presented – that of the Dutch heroically building dykes and keeping the sea out. For one thing, the story of the Dutch landscape is actually one of self-inflicted near-disaster, but rescue through technological innovation and communal effort. Rising sea levels were rising naturally (they have been rising since the last ice age, which is why climate change is frightening), but digging channels through peat land to drain them was made things far worse. As the peat dried out it shrank, so the sea and flooding rivers made their advance; by the late Medieval period there were vast areas which were either inundated or were on the point of being swallowed up. Windmills and an increasingly complex systems of dykes, drains and sluices kept the sea back, together with a unique system of management which revolved around communities having to consult with each other about their plans (as all too often one village's attempts to get rid of its flood waters would result in another being placed at risk). With the 19th century invention of the steam pump, the Dutch could be proactive and not just keep the waters back but actually drain what had been lost centuries before. I like to see a parallel with humanity and the threat of climate change – except that the Dutch have never had the equivalent of US Republicans bellowing that the flooding wasn't actually happening. Much of the Dutch landscape is incredibly highly managed, with little room for nature. Historically, natural habitats were ruthlessly cleared out of the way. One of the side-stories in the book is of Jac Thijsse, naturalist who was born at around the time (the 1860s) that the last Dutch natural forest was felled. What has been remarkable about the latter part of the 20th century however is how the Dutch have actually held back, and begin to re-wild, create new habitat, and establish a nature-culture balance in the landscape. And this, I believe, is where the gardening comes in. There were big political battles over the future of the landscape in the latter part of the 20th century and the areas being set aside for wildlife are very much the compromise that came out of disputes between conservationists and the agriculture and water management lobby. 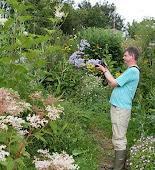 Wildlife-friendly and naturalistic gardening were part of the outcome as well. It was as if certain people saw what was being done to the landscape – its total rationalisation, and stepped back, determined to leave a space for nature. This is also the land of the well-planned public housing estate. Dutch urban landscape planning is, along with Scandinavian, the most advanced anywhere. Everything is on a very human scale and there is always plenty of nature, albeit often heavily managed. 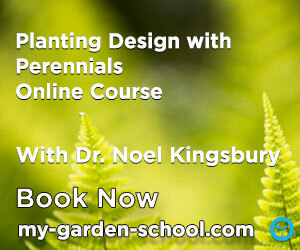 One way of looking at the Oudolf planting style is to see it as a kind of 'enhanced nature', which parallels the way the larger landscape is managed, a model of a kind of planting design that satisfies the aesthetic needs of humanity but which also has a sustainable and wildlife-friendly aspect. I have often thought that the garden is a microcosm of a wider world and that gardening can be seen as metaphor for our management of the planet as a whole. If so, the Dutch experience is one of the most valuable guides to our common future. One further little funny story, which illustrates the tolerance the Dutch are famous for. At a launch party for the book in Haarlem back in March, towards the end of the event, a friend sidled up to me and mentioned to me that "the old whores are here" and 2 old ladies (well into their 70s), identical twins dressed identically, had turned up and had monopolised the canape tray (clearly their intended supper). They were both trying to sell their own book "Our lives in the Red Light District at (sic) Amsterdam". Apparently they roll up at any event of cultural significance, so I supposed they were a kind of seal of approval. Your truly had his photo taken with them, Piet maintained his usual Olympian distance. Your words about Holland evoked memories for me of Askham Bryan student tours thirty odd years ago. The story of reclamation of land from the sea and how it was dried out by reeds and brought into cultivation is fascinating. I remember also being bowled over by the wildflower plantings in Thijsse Park(?) in Amsterdam. With hindsight it was then perhaps more of a tribute to the Dutch ability to grow fantastic plants rather than the re-creation of realistic ongoing ecologies. I believe some of the students found their way to the red light areas. The ladies you mention would have been younger then. Many thanks Noel, it is such a beautiful book, as usual. Very instructive on Piet's history, his work and its evolution. I allowed myself to write a little article in French to present this book on my blog. But most of all, I would like to thank you for "Planting New Perspective" which is one of my best source of inspiration for gardennig. We had to wait a little longer for your book to make it to Canada. I devoured it and loved it – as the story of an ever widening circle of like-minded people and friends, the evolution of a very different form of garden making and the love story of Piet, Anja and their plants. To state the obvious – between yourself and Piet, you've changed the lives of many, many people for the better. And opened our eyes to a different way to see beauty in nature. I happily include myself in that number. In this latest chapter, surely there's a footnote that reads 'Moment of triumph' because that's exactly what it is. Thanks for the amusing addendums about the 'Polderen'... and best wishes from all of us at Dutch Dreams. Recently I visited New York City, and one of our must-do items was visit the new Whitney Museum. Forty years ago I lived just a few blocks away from where the Museum now sits. On a hot summer's night we used to get a cold six-pack and go over to the Gansevoort Pier to drink by the river and cool off. After visiting the Museum we walked up the HighLine, from one end to the other. The HighLine is a Piet Oudolf's triumph. It is so right and spot-on that it is impossible imagine it any other way. Every time we visit the HighLine it gets better and better. But this time, however, I began to notice the hardscape and the ubiquitous influence of Mien Ruys. Everywhere you can see details that seem to have come Ruys's work: the half buried parallel courses of stone that rise and then dive into the ground, the slant-backed benches along the walk ways, the slatted wooden benches with storage underneath the seats (these were up at the new extension, and the seats weren't locked, so I could open them). There are probably many more details that a more practiced eye could pick out. A latecomer to gardening (recently retired), I've only recently discovered Ruys's work. I've tried to find out more about Ruys, but have been frustrated by the meagerness of descriptions of her work in English, and the difficulties of deciphering the Dutch language. Pictures on Internet sites are helpful, but they only wet the appetite for more. Do you know of any accessible books in English (or Dutch, if there are illustrations) that would serve as an introduction to Ruys's work? I would very much like to know more about her work and the people she's influenced. Thank you for all the work you put into this blog. It is always a good day when a new posting arrives. I just bought "Hummelo", not long ago "Seedheads" and I own almost all of your books. They are not only informative but outright beautiful! Thank You! One remark to the pages about Karl Foerster, one of my garden heroes who's garden I visit often because I live in Berlin. His father never ran a nursery! It was founded by Karl on the property of his parents in Berlin-Charlottenburg and later he moved to Potsdam-Bornim where it is still located. His father was a famous astronomer and is also very well-known in Berlin and the observatory is named after him. You mentioned the very philosophical style of his writing and that it is almost impossible to translate it or to understand it for non-natives. Frankly: They are also not easy to read for Germans! But each sentence radiates his love for everything living. Very charming.